Albright solenoids and vehicle regulators in this section of Arc Components Limited, used for starting and line switch functions on many vehicles. 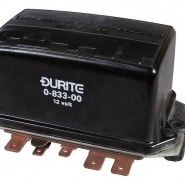 The range includes standard 12V and 24V car solenoids, including alternator and generator regulators. Electronic and brush gear regulators. Durite alternator replacement carbon brush assemblies. 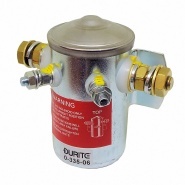 12V 11A, 22A and 25A mechanical regulators for generators, Durite brand replacement regulators. 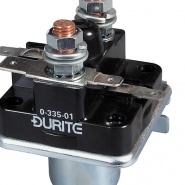 Vehicle starter and switch solenoids, car, commercial and industrial make and changeover switch solenoids. 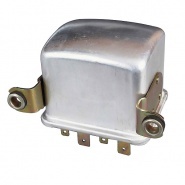 12V 50 amp starter solenoid with isolated return, alternative to Lucas: 76731, 76734, 76768, 76775, 76843, 76990 and SRB319. 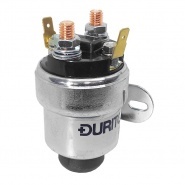 24V 10 amp, starter solenoid with isolated return. Replaces Lucas: 76732, SRB321, Cargo: 130952 and Massey: 2848218. 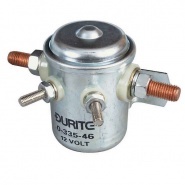 Durite 12V make and break bulk head solenoid with insulated return, rated at 150A continuous at 12V. 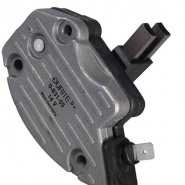 Electronic regulator for 12V alternator, alternative to CAV: 1697D220, 440D12-2, Motorcraft: EGR204. Mechanical regulator for 12V, 11A generator, replaces Lucas: RB108, RB398, LRC107, NCB118, NCB120 and Perkins: 2872508. 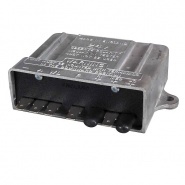 12V Make and break bulk head solenoid, insulated return, rated at 80A intermittent at 12V, NB: this solenoid is not waterproof.